For someone as soft-spoken as North Carolina-based songwriter Darren Jessee, it might come as a surprise to learn that he has a gold record (in storage somewhere), a platinum record (“I never called them to get it”), and was part of a recent Grammy win (“someone told me they would mail me a certificate if I wanted…”). For years, though, he’s managed that almost impossible feat of remaining both ubiquitous and out of the spotlight at once. With his new record, The Jane, Room 217 – Jessee’s first as a solo artist – he’s finally seen that through. In late 2016, on the heels of Hotel Lights’ release Get Your Hand in My Hand and a world tour with Sharon Van Etten, Jessee started writing and recording the songs that would become The Jane, Room 217 on a six-track in his New York City apartment. Jessee drove the tracks as they were to Richmond, where Trey Pollard of the Spacebomb Records group added strings and Jessee’s longtime collaborator Alan Weatherhead mixed; and for the most part, that’s how Jessee left it. 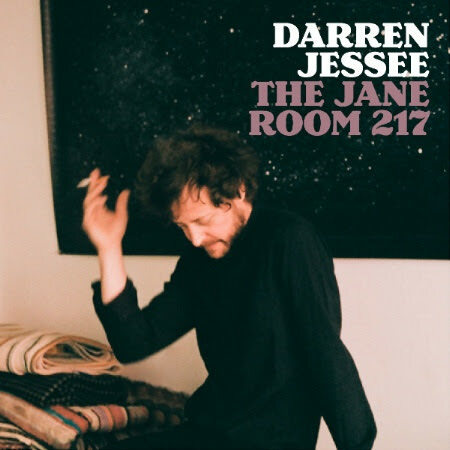 Dreamy and intimate, The Jane, Room 217 evokes late night drives, low lights, and longing, as on the album’s opener, “Anything You Need,” where so much space is left around the notes that by the time strings swell up under the melody after the chorus, it’s an almost overwhelming rush, like a quiet revelation. Arrangements on the album are pared down to nothing more than acoustic guitar, a few spare keyboard hooks, piano, Pollard’s strings, and Jessee’s expressive vocals. At once reserved and lush, Jessee’s wistful melodies are shot through with lyrical sparks, as in “All but a Dream,” where he takes a series of impressionistic flashes – “chill though the window screen,” “cortados in Mexico City,” “red tail lights of taxis, running through a summer rain,” “swimming in the briny sea” – and builds them into an epiphany much greater than the sum of its parts. « In honor of Travis Bowlin’s #1 record, here’s a new EPK Video from him.